I think one of the most satisfying things about wall mounting TV’s is when the TV is installed flush to the wall, so that is barely sticks out and no cables can be seen. I have decided to write this blog as often when installing wall mounted TV’s I get asked to get it as flat to the wall as possible. In this article I will give some professional tips and advice for getting the TV as close to the wall as possible. I will discuss TV’s, TV wall bracket types, power options and types of cables to use to help get the TV on the wall mounted flush. If you want the TV only a few millimetres or a fraction of an inch away from the wall you’re going to have to get a bracket that actually sits close to the wall when installed. Some brackets sit a mile away,especially some of the cheaper types. I would advise getting a fixed wall bracket for the task as with most movable brackets like tilting and full motion wall brackets the mechanism that allows the bracket to move is often what stands it away from the wall. I recommend when purchasing your TV wall mount to check the distance that it sits away from the wall. You won’t want anything more than an inch, ideally less but this also depends on whether the TV itself with the connecting cables attached will allow the TV closer. Less doesn’t always mean less if you understand what I’m saying. The brackets I use most for fixed TV wall mounting installations from the B-Tech range, but I also thoroughly recommend Sanus wall brackets forgetting the TV close to the wall. If you want the TV as flush as possible to the wall I would recommend using a fixed wall mount. Like I mentioned above the vast majority of tilting/ full motion wall brackets will require the TV to be sited further away from the wall. If you really wanted a titling wall bracket, again I recommend the Sanus range. The Sanus VMT15 Super slim mount is good for getting the TV less than a couple of centimetres away from the wall, with a tilting function as is suitable for TV’s up to 50”. If you wanted a full motion wall bracket that sits flush to the wall I advise not scrimping and buying a good one. Not only do you want it to sit flush to the wall you want it you move easily and freely too which some of them don’t. When I say pick the right TV I mean that with some TV’s, regardless of what you do with the cables and the TV bracket that you choose you just won’t be able to get them close to the wall without recessing the TV itself. When choosing a TV look for models that have sideways connections on the back of the TV and not just straight out at right angles. This is important as with the bend radius of the connecting cables you may not be able to get the TV as close to the wall as you would like if the cables come straight out of the back, even with right angled plugs. You may be forced to sit the TV a little bit further out than you would have liked. Most new TV’s have this in the mind and will have the cables leaving the TV parallel at the rear so that it doesn’t matter about the bend radius of the cables. When installing TV’s I often come across some designs which I like, the following are designs by Samsung which really help get the TV as close to the wall as possible. The Samsung One Connect is a brilliant addition in my opinion if you have AV equipment sited lower down below or near the TV. Instead of installing multiple HDMI, power, aerial/sat, network & USB cables to connect up behind the TV. The One Connect lives beside your AV equipment and you connect your TV equipment/ sound system/ gaming consoles into this. From here a single thin wire is connects up to your TV. The newest models even supply power up the cable too which means that all you have to install is a single cable, which itself has a flat right-angled connection. Juts make sure you install it the correct away around as the lead is not bi-directional. I found that out the hard way with one of the earlier models where the connections looked very similar both connectors. I had to undo all the filling that I had done, remove the cable and install it the other way. That was a late night. Fortunately, the newer ones have different connectors so it’s clear which way around they go. Another worthwhile mention if you want to get TV as close to the wall as you can is the Samsung Frame TV. The design of the TV is so that it looks like a picture Frame, in fact when on standby the TV can show a picture so it look’s like an ordinary picture, but the one of the good things about it an the reason for including it in this blog is that the TV comes with it’s own mount which literally only sits a few millimetres away from the wall. Also these come with a One Connect connection making them the perfect choice for slimline TV wall mounts. Hiding the cables away in the wall will also help get the TV as close as possible to the wall and help create a seamless result. 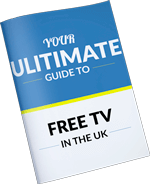 You won’t have to worry about installing the TV over loose cables or surface mounted trunking. This isn’t too difficult with TV's mounted on hollow walls, like plasterboard stud walls as you can usually just cut a whole and drop the cables down to where they need to go and if you’re lucky you won’t need to pass through a horizontal stud. For solid brick/ plaster walls and some dry-lined plasterboard dot & dab walls where the plasterboard been stuck on top of the brick this can be a little bit more tricky and a lot dustier! You will need to chase holes into your wall to bury the cables inside. Chances are if an electrician has put the cables in for you ready for the TV to be mounted on top, they may have terminated the cabling into wall plates to create a neat finish. As well a mains electrical point, you may have TV aerial/ satellite, data and HDMI sockets among other things. The problem with doing this is that you will have to plug cables into these which themselves have a bend radius which may mean that they will not allow the TV to sit close to the wall. If you remove the sockets/ wall plates and have the cables just coming through the wall with plugs on the end to plug directly into the TV you will not have this problem. You can install a brush faceplate to bring the cables out of to keep it looking neat but it is going to be behind the TV after all! If you must fit sockets, I advise fitted ones that give the cable a natural angle to leave the socket so that can sit almost flat.Alternatively, you could install something like a Syncbox which I will come to shortly. The Syncbox is a very clever design where the cable terminations where you connect your TV leads are recessed into the wall, which allows for a cable bend radius without having to leave extra room behind your TV. The Syncbox works by chasing a deep back-box into the wall into which modular inserts are inserted. There is a variety of options for the modules including ones for power, coaxial, data and all sorts of others. It can workout quite an expensive way of doing things but it will allow to to fit the TV very close to the wall. If your electrician or TV installer has installed you a mains point behind your TV to plug it in for when the TV is on the wall, it might be a better idea to install a fused spur instead. The problem is with the mains point and the electrical plug that will be inserted into it you will need around 4cm or an 1.5” behind the TV which could make it difficult to fit if you wanted to keep the TV close to the wall. If however you swapped your 13 amp socket for a fused spur the TV power lead can be hardwired directly into the back of the fused spur itself. This will reduce the distance it stands way from the wall to around half a cm and some manufacturers offer “flush” sockets which only sit a mm or two away from the wall. This means that the electrical plug itself will no longer get in the way which is very common. The problem is with installing fused spur units for TV’s is that the mains plug needs to be cut away from the TV lead. This isn’t a problem if your TV comes with a detachable mains lead but if your TV comes with a moulded lead, you will need to cut this away to be cable to connect it to the fused spur. This could void the warranty on your TV so it’s up to you if you think this is worth the risk. If you do choose to cable your TV into a fused spur it’s important that this is done by someone electrically competent and that the correct rated fuse is installed into the spur to protect the cable and TV. Most fused spurs come with a 13 amp fuse inside which is quite a lot for most new TV’s. I recommend removing the fuse from the TV plug and inserting this into the fused spur. A small flat headed screwdriver will enable you to leaver it out. If you really must install sockets behind your TV you should be able to save around half a cm by install flush type sockets instead of normal ones which sit a little bit away from the wall. This could make all the difference when it comes to getting the TV as close to the wall as possible. If you have sockets or a TV where the connections leave directly out the back of the TV at a right angle. You will want to install right angled plugs onto your cables to save on the cable bend radius which could push the TV away from the wall. You can install right angled plugs onto coaxial cables or get right angled power leads as well as right angled HDMI adapters or optical/ phono adapters. The adapter or the right angled plug itself will still require a little bit of space but this will be less than the natural bend radius of the cable which you don’t want to squash trying to make them fit as this could break or damage the cable which could cause poor TV reception or pixelation. This will be quite difficult in a solid wall, in fact it would probably easier to build a frame around the TV, but if you have a hollow wall you could cut away a section of the plasterboard and install a piece of plywood fixed into the stud work. The plywood could finish below the surface of the wall allowing the TV to sit right back close to the wall. The connecting cables could also be lost into the wall. Obviously this isn’t a task for the fainthearted and you may want to get a professional AV installer in to carryout the installation as the last thing you want is to be cutting away at the wall and slice through a electrical cable or a pipe. If you wanted the TV completely flush with the wall so that there it doesn’t stand out at all. You may want to build a frame/ stud wall around the TV so that it sits completely flush. Once in place you could plasterboard around and have a plasterer skim it or you could get a carpenter to build some sort of cupboard/ storage around it. By doing it this way would also give you a space to route the cabling behind the wall. This is obviously a bigger task than your average wall mount but if you wanted to create something special or are renovating you may want to give it some consideration. Just remember that one day you will probably need to replace the TV! You shouldn’t be using SCART cabling in this day and age anyway, but if you want to get the TV at least close to the wall you will need to abandon the SCART Connection and SCART leads altogether as they are so big and bulky. If the equipment you want to connect to the TV only accepts SCART connections you can put an adapter in to convert it into another type of AV connection. SCART leads can easily be converted to phono connections so if you get yourself a SCART to phono adapter this will be a lot better than just a direct SCART lead. Besides with the size of the connectors you will probably have a job routing them up to the TV to begin with. I have shared with you some tips for getting your TV as close to your wall as possible, but use you imagination and be creative as there will be other ways of achieving things. If you have any questions please LEAVE A COMMENT IN THE BLOG COMMENT SECTION below. If you do that and are patient I will get back to you. Please DO NOT CALL OUR TELEPHONE LINES and please DO NOT E-MAIL OR FILL OUT THE WEBSITE CONTACT FORMS. These are all reserved for customers only. We simply do not have the staff the help you and I certainly do have the time. If you e-mail or fill out a contact form you will either not receive a reply or you will receive one asking you to post your comment in the blog comment section. It doesn’t matter if it isn’t related to the blog, post in there and I will get back to you. I’m flattered that I get so many people requesting my advice on things who get upset when I don’t get back to them but again I do not have the time. Also by posting your comment in the section below everyone reading it will get the benefit of the question asked and the answer given.